For this week’s installment of Dubspot Radio Podcast, African DJ, producer, and educator Ricardo Nunes a.k.a. DJ Azuhl stopped by for an exclusive DJ mix and interview. 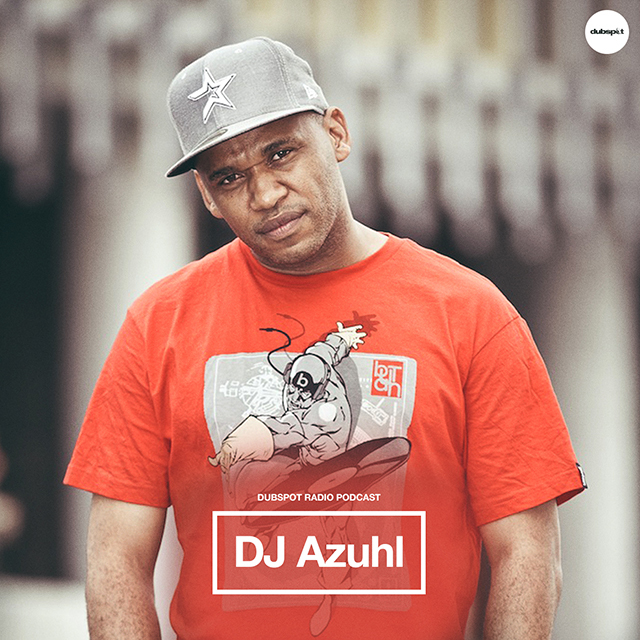 In conversation with Dubspot Radio Pozibelle and DJ Baby K Love, Azuhl talks about the early days of South African hip hop, his evolution as DJ and musician, and the state of African music in an ever-globalizing world. Cape Town born Ricardo Nunes, better known as DJ Azuhl, has become a household name on the South African Hip Hop and DJ scene. Being involved in the Hip Hop scene since the mid 80’s DJ Azuhl has progressed from a dancer and emcee to DJ and producer/remixer. He can be seen as a performer with stalwarts and pioneer Hip Hop outfit B.V.K (Brasse Vannie Kaap), a DJ with Africa’s iconic DJ group The Beat Bangaz (alongside Ready D and E-20) or filling out various dance floors across S.A as a party rocker. Known for specializing in Hip Hop, he also has the ability to move crowds across genres of music ranging from funk, soul, dub, house, rock and mashups. Armed with his extensive knowledge and understanding of deejaying, he has become one of the most sought out DJs for events ranging from corporate, promotional, launches, club to community based events. Read more about DJ Azuhl on his site and keep up with him on Soundcloud, Twitter, and Facebook.